SNEB mourns the loss of Dr. Susan Nitzke, who died on Aug. 20. Susan was born Aug. 23, 1946 in Byron, Wisconsin to Lawrence and Marcella (Schoofs) Schwartz. She married William Nitzke on Aug. 24, 1968. She earned her PhD at the University of Wisconsin, Madison and worked for more than 30 years at UW-Madison, ultimately serving as Chair of the Nutritional Sciences Department. 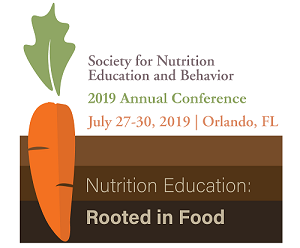 Susan received the SNEB Helen Denning Ullrich Annual Award for Lifetime Excellence in Nutrition Education Award in 2014. She was also a Gold Author for JNEB. Read the full obituary here. SNEB is now accepting nominations for the 2019-2020 leadership. To nominate someone or express your own interest in serving on the SNEB Board, Nominating Committee, or as ACPP Chair-Elect, complete the nomination form by Sept. 10. The presentation will discuss factors that influence dietary self-monitoring on a smartphone application. Specifically, time-varying factors including time in the study, day of the week, and month of the year will be reviewed from data obtained from the ENGAGED study, a six-month weight loss intervention. Lastly, conclusions from the results as well as implications for future studies and clinical practice will be discussed.